55,000 Malian refugees and displaced people face a lack of water, just one meal per day and loss of livestock in western Niger. London, January 24, 2019 - Armed groups in northern Mali gave just 48 hours to part of the population to flee villages last December. 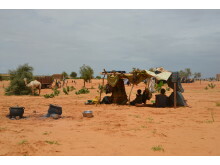 Nearly one thousand people of Arab, Fulani and Tuareg ethnicity were forced to cross the border with Niger and take refuge in Miguiza, Tahoua region, in the west of the country, adding to the 55,000 refugees and displaced people already living in the border region. Niger is one of the poorest countries in the world and resources in the region are scarce. Two out of every three refugees are entirely dependent on herding to support their livelihoods, with many losing their livestock during displacement. 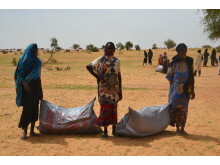 Additionally, the arrival of the rainy season makes it difficult for aid agencies to access the area. In Mali there are 5.2 million people already living in need of humanitarian assistance. Insecurity in the north of the country is high, as well as continuous threats and attacks by armed groups, looting of cattle, abusive collection of taxes and inter-ethnic conflicts. The United Nations estimates that internal displacements doubled in 2018, to more than 77,000. The other side of the porous border, Niger has the worst Human Development Index in the world, with the Nigerian government declaring a state of emergency in March 2017 in the departments of Tillia and Tassara (Tahoua region) due to insecurity. Forecasts indicate that it will be an area heavily hit by the hunger season, which can exacerbate the already high rates of acute malnutrition, which stand at approximately 14%. Between the months of June and August, the hunger season hits the Sahel. Food reserves from the previous harvest are already running out causing market prices to rise. Forecasts indicate that 54,000 and 17,000 people in Niger and Mali respectively will be at severe risk of food insecurity this year. 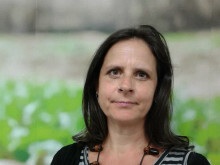 "We have identified that local families only eat two meals a day on average, while refugee women only make one," warns Lucía Prieto, regional director of Action against Hunger in Niger and Mali. "Some households are forced to reduce their food ration or even sell their livestock for food. This, together with the disproportionate increase in population in such a short space of time, is causing the scarcity of resources to deepen, adversely affecting both the host population and the refugees." 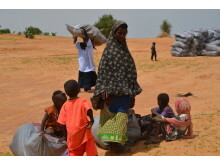 Action Against Hunger's latest emergency assessment has revealed that more than 2,500 refugee households in western Niger are in need of urgent humanitarian assistance. "Water is very scarce - the ten wells there are dry as soon as water is extracted. 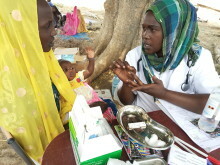 However, thanks to the rehabilitation and installation of infrastructures such as pumping stations, more than 3,000 people will benefit from access to drinking water and better hygiene conditions," says Pauline Jacquart, Emergency Coordinator of Action against Hunger in Niger. Since displacements began in the region, Action Against Hunger has also distributed water, blankets, tarpaulins, warm clothes, sanitation and hygiene kits and cooking utensils to an estimated 20,188 people.